Michael Cliff Kibuuka loves creating beautiful things. 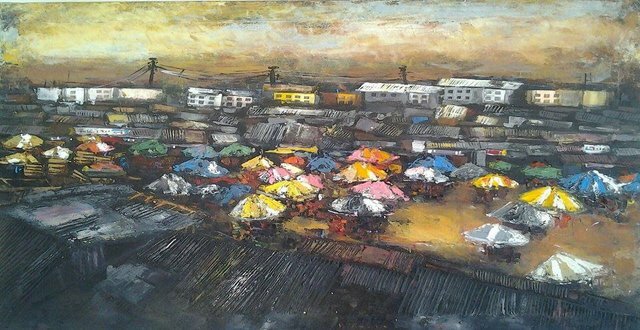 His paintings, renowned for transforming scenes from every day life into vivid, dreamlike landscapes, have become a central pillar in a number of the city’s upmarket galleries. 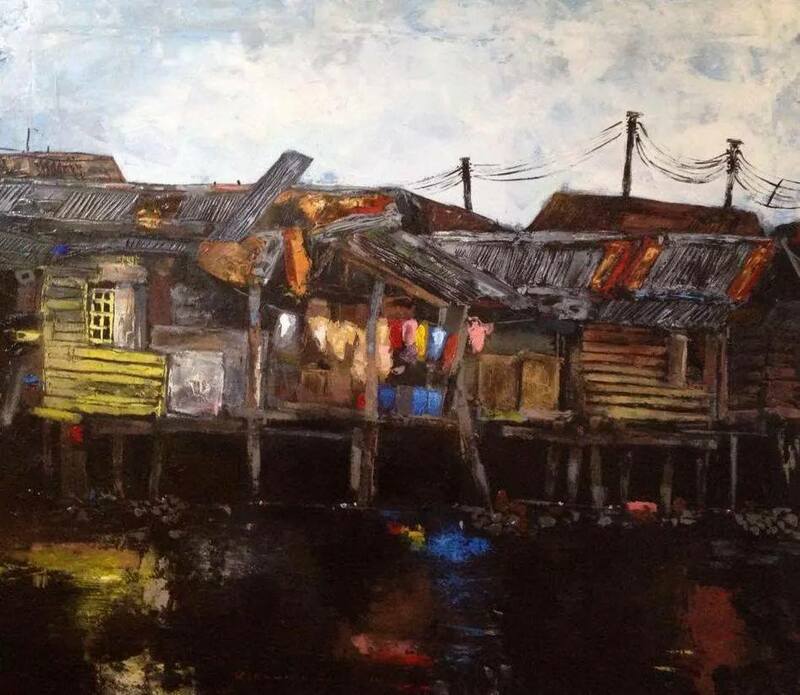 His work offers a glimpse into how he sees his home and the world around him. A gray market is punctuated by a bustle of bright umbrellas. A slum is not romanticized for its children who, as that cliche so often goes, “are happy no matter how little they have”. Rather, hanging laundry tells the story of people simply living their lives. 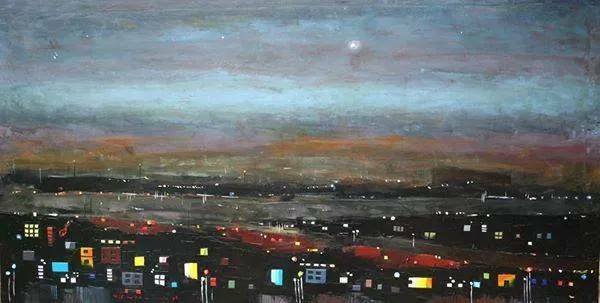 Kibuuka began his work over a decade ago, studying industrial and fine art at Makerere University. At his first professional exhibition he collaborated with one of his classmates for a joint show. It was a thrilling experience and Kibuuka found himself incredibly pleased when the Kabaka of Buganda purchased one of his first paintings. From there he collaborated with a number of classmates, and began to show his work at the Ndere Center. Rather, he says he wanted to create something new, and try something that he didn’t feel could be easily done. So, as he put it, “I started painting light”. 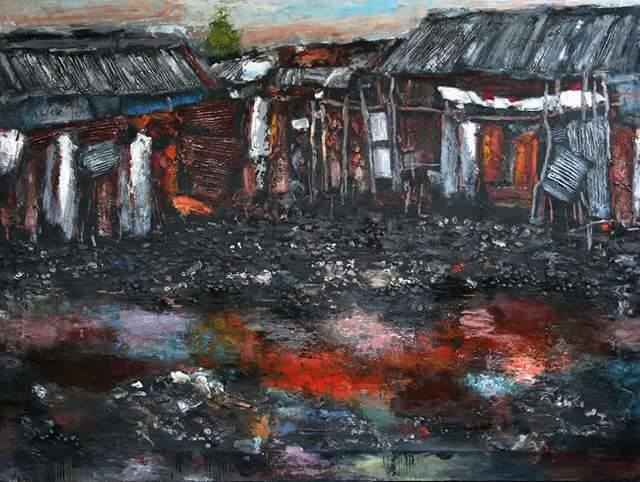 Now 35 years old, Kibuuka considers himself a landscape painter, with a major focus on slums, market scenes and night scenes. 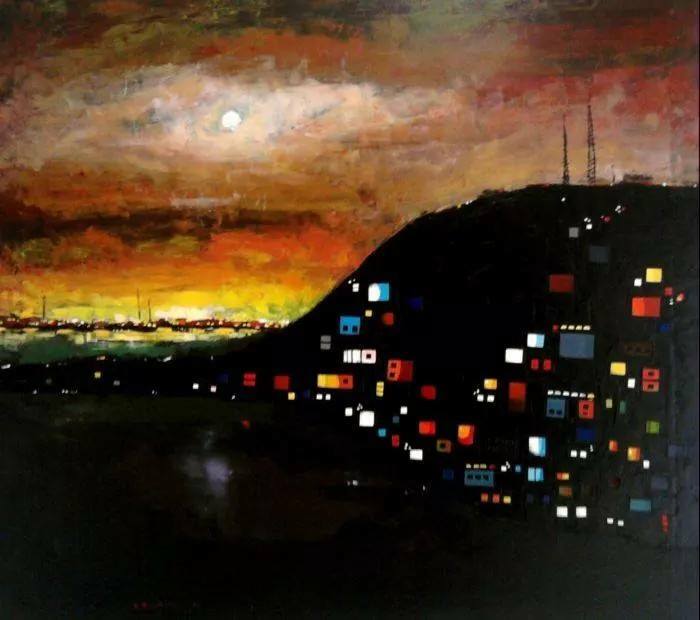 Some of his most iconic images, which showcase nightscapes from Kampala’s sprawling hills, have garnered incredible admiration from the public. Inspired by some of the Dutch classics, and their interplay between light and brushstrokes, Kibuuka’s art often uses vivid textures and a range of colors to ensure a particular atmosphere resonates. It is a dream job for Kibuuka who says that, “It is a special feeling to show my work, anywhere, and to see the joy it gives people who see it. It’s a great feeling”. Kibuuka is hoping that eventually his work is exhibited, “in all four corners of the world”. Kibuuka’s art is often on display around Kampala, but can be found year-round at the Umoja Art Gallery.